After falling out with the Kardashians and Kylie Jenner, Jordyn Woods takes a leave of absence from the Hollywood scene as she winds-up in the UK on a promotional tour. Nevertheless, Woods, who was traveling on a Virgin Pendolino electric high-speed train operated in the United Kingdom, seemed excited enough to share a number of images during her journey on one of the 9 rail cars typically connected for travel. Dressed in a hot pink outfit, it was immediately clear that Woods was on her way to make a promotional appearance at the famous Archie’s in Manchester. Archie’s with its pink and white Barbie doll interior has made the color pink cool. And cool was just the way Jordyn could be described as she tried to distance herself from the drama she had left back in the States. After her rumored indiscretion with Cleveland Cavaliers Power Forward Tristan Thompson, Woods was banished from the presence of the Kardashians, one of Hollywood’s, so-called, royal families. Thus, she appeared happy to be away from L.A.. Consequently, the pressures that surrounded her recent troubles, were put off towards the back of her mind. While at Archie’s, Woods posed in sunglasses while wearing a fuchsia boiler suit. Cameras followed Jordyn as she found her way to a table to comfortably enjoy her frosty milkshake. Perhaps that was not an appropriate sign for Woods to pose under especially since she has been accused of wanting Khloe Kardashian’s beau. Some might think that the “I want it all” sign is indicative of her alleged indiscretion. Nonetheless, there she was in the UK promoting her eyelash brand in spite of the story reported by E! which claimed that Woods was mortified after seeing the new season 16 KUWTK trailer. The trailer also shows Khloe screaming: “My family was ruined!” For Khloe, it was the last straw. She had caught Tristan cheating before, but this time it was with Woods, her sister’s BFF and the revelation was too painful for Khloe to continue her relationship with the baby’s daddy. Perhaps as Jordyn watched the trailer, she was reliving the pain and drama that had abruptly put an end to her friendship with Kylie Jenner. L.A. was not a place she wanted to be; maybe the humiliation proved to be too much to handle. Woods tried to explain to anyone that would listen that it was only a kiss, but her words appears to have fallen on death ears. TMZ recently reported that Kylie is determined to move on as she felt guilty about her BFF causing her sister’s broken heart. Perhaps Jordyn needed to flee L.A. in order to get from underneath all the scrutiny and drama she faced day-to-day. 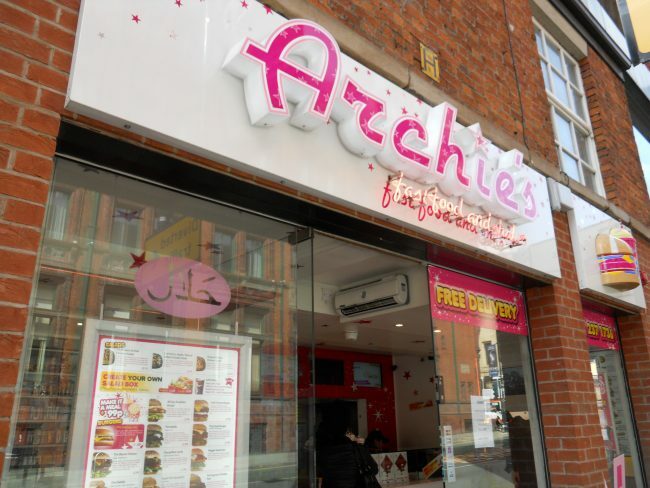 Making a promotional tour to Archie’s in Manchester may have been the best thing the doctor could have ordered.